The Federal Ministry of Finance has once more explained the process of participation in the Voluntary Assets and Income Declaration Scheme (VAIDS) to new taxpayers as well as existing ones that had not been paying appropriate taxes. According to the VAIDS office in the Federal Ministry of Finance, the first step for new taxpayers is to apply for a Tax Identification Number (TIN), which will be fast-tracked. Existing taxpayers are required to register for VAIDS by filling the declaration form, obtainable from relevant tax authorities and available online. The relevant tax authority can help calculate a taxpayer’s liabilities. In addition, the VAIDS office has also provided training to professionals in tax advisory services to educate taxpayers on their obligations. A statement explained thatVAIDS, which provides a time-limited opportunity to regularise tax status, is open to every taxpayer liable to pay tax in Nigeria. 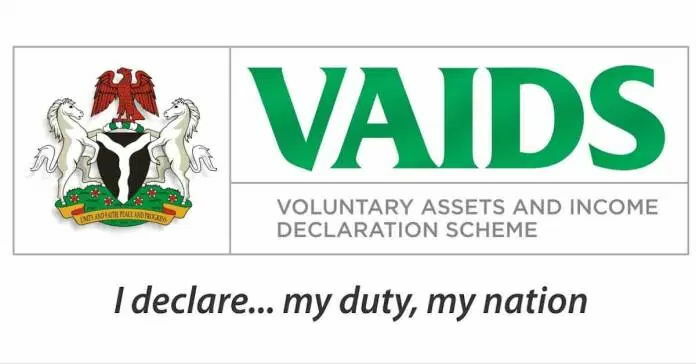 “It covers Nigerian residents, who had taxable undeclared income outside Nigeria and non-residents, who earned undeclared income derived from or accruing from Nigeria,” explained the VAIDS office. Nigerians resident outside the country can declare online or appoint an agent resident in Nigeria to declare on their behalf. The tax authority will, however, review tax information provided by declarers to ensure they are accurate. Information provided by declarers, said the Federal Ministry of Finance, is confidential and strictly for use under VAIDS. Tax debtors who fail to declare at the expiration of the window in 31 March will face a variety of sanctions, including payment of interests and penalties as well as prosecution. Fitch Ratings has affirmed a ‘stable outlook’ on the foreign currency, long term issuer default ratings of UBA Plc’s subsidiaries in Cameroon, Ghana and Senegal. The entities -UBA Cameroon SA, UBA Ghana Limited and UBA Senegal SA, which are some of the flagship subsidiaries of the Nigerian-headquartered United Bank for Africa Plc, are rated “B-“, as constrained by the weak operating environment within which the three subsidiaries operate. Fitch noted that the credit ratings and the stable outlook on the subsidiaries were driven by the standalone financial strength of each of these subsidiaries, as reflected by their respective Viability Ratings. In addition, the rating agency also noted potential support from their parent, UBA Plc, if such was required. According to Fitch, the subsidiaries’ are profitable and their ability to build up capital internally was positive because it will support UBA Plc’s ambitious growth plans for the subsidiaries. Assessing the loan portfolio of the subsidiaries, the agency noted that the three subsidiaries of UBA Plc lend to leading domestic corporate and public sector entities and such loans dominate the portfolio of UBA subsidiaries in each of the respective markets. Fitch specifically expects notable improvement in UBA Ghana’s asset quality in the near term, reflecting government’s efforts to address energy sector problem loans. Discussing the capitalization of the subsidiaries, Fitch notes; “We view the banks’ capital buffers as modest, given the risks to which they are exposed. Reported regulatory capital ratios meet local Basel 1 requirements”.